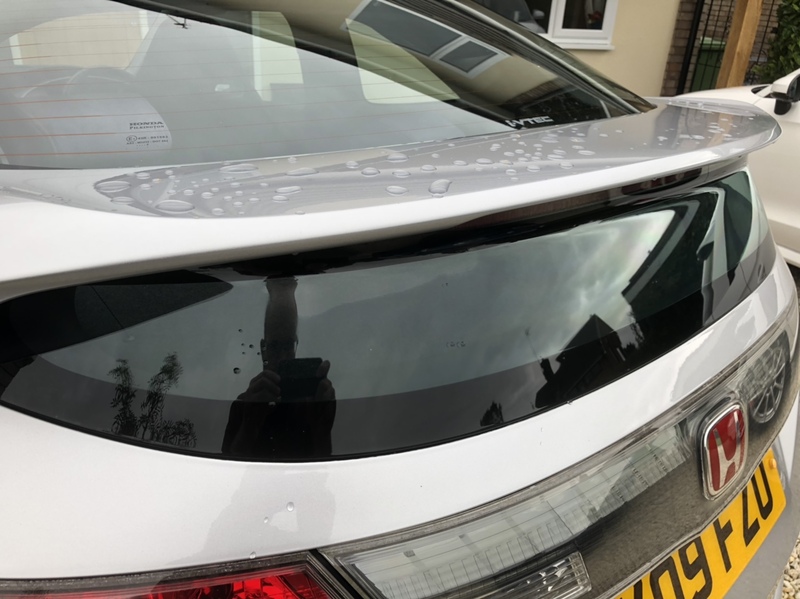 Following on from a previous thread I’m going to attempt to wet and dry the plastic spoiler on my FN2 in an attempt to remove the original rain repellent coating. To cut a long story short it was scratched and a replacement is £900 for parts alone. The way I see it I’ve got nothing to lose by sanding and polishing away the remaining coating. The plan is to mask up the immediate area and remove the spoiler. I’ll then tackle with 1500 wet and dry moving on to 2500. Once sanded I was planning on using G3 liquid and the 3 stage compound set that AF sell with my DA (not forgetting using plenty of water). I also have some SRP, Plastx and Quixx acrylic if needed. Any words of advice before I start the job on Saturday? It’s not a massive area so I’m hoping it won’t take longer than a day. The small area I’ve already done using 2500 grit came up well (albeit the 2500 cut wasn’t great hence why I’m going to start with 1500). Well that’s didn’t go to plan...Coating is far too stuborn to remove by hand. Will be buying a new one from Honda. Can’t believe the parts alone are £850!!! Is it not worth seeing if a pro can remove the scratches for you or a body shop ? Tried my local body shop and they said the amount of labour and time would outstrip the cost of window. Fitting isn’t too bad (£200), it’s the parts which are hideously overpriced. 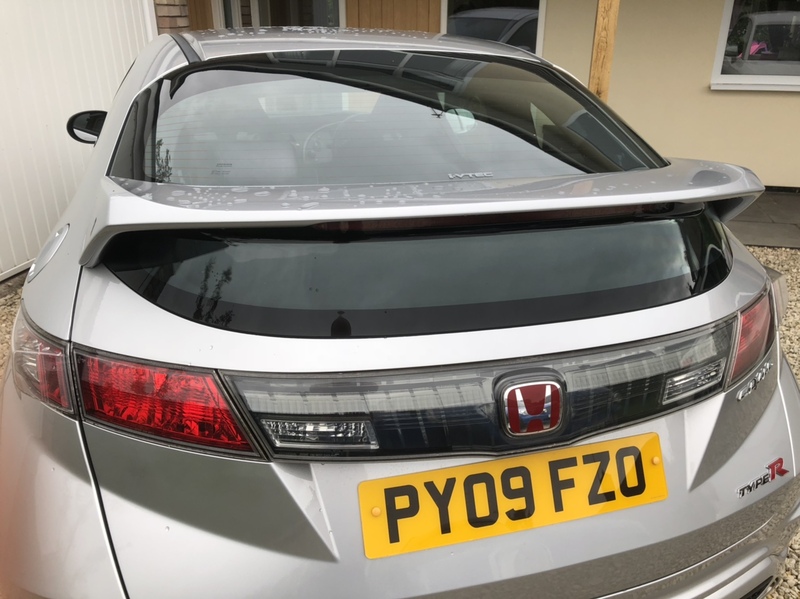 I can imagine the profit margin is scandalous...No way did Honda part the part manufacturer (German firm) £640 for a tinted Perspex lower window/spoiler. Ouch that’s an expensive scratch - difficult to see it on the phone, but does is it not liveable with ? Not now I sanded it all down unfortunately. You live and learn. Where are you based? 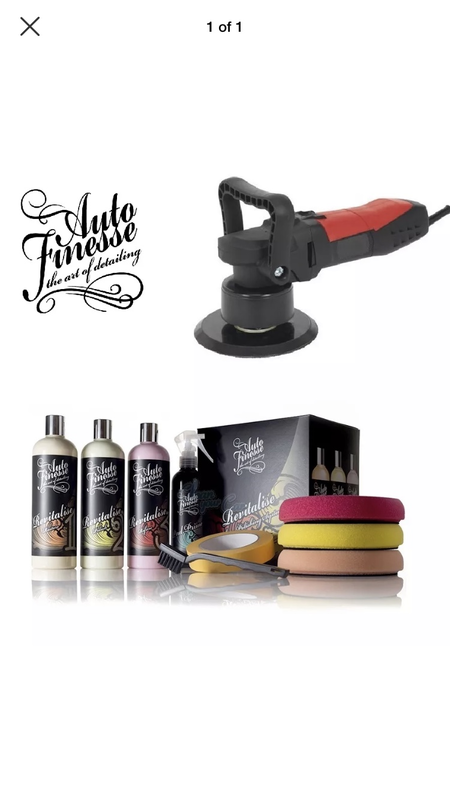 I think its worth you going to a professional (not a bodyshop) to get advice. Reading your post, I'm not surprised you haven't removed the sanding marks with that combo, and the way you stated "plenty of water" which is the exact opposite of what you need to do for consistent cut with modern liquids. Nope, I’m an amateur when it comes to bodywork. I was told by my local body shop not to bother attempting a repair because the man hours would outweigh the cost of a replacement though. I purchased new parts today. To the grand tune of £810 lol. I still maintain its worth going to see a professional for a second opinion, it wont cost anything. If they agree, nothing lost, if they don't I promise it wont be nearly a grand to sand and polish a rear screen.